Scroll down for info on Dr. Brian Boxer Wachler's enlightening book Perceptual Intelligence: The Brain's Secret to Seeing Past Illusion, Misperception and Self-Deception. It's enriched the my life and and helped me see my environment and the world in a more positive light. Brain fog, also commonly known as brain fatigue, mental fog, and clouding of consciousness, can be a mild to severe episode of mental confusion that can strike without warning. 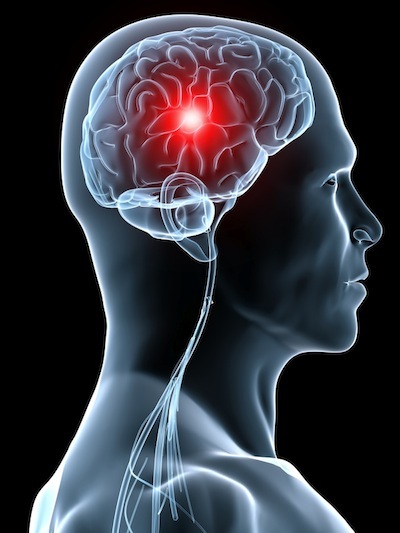 When this occurs, it is common to experience a lack of focus, poor memory recall, and reduced mental acuity. If the underlying causes of the brain fog are not addressed, then the condition can continue to occur to the point that it can negatively affect one's professional and personal life. Toxic Body: Brain fog is one of the first indicators of a toxic body. Year-round, keep your body detoxified (on the alkaline side instead of being more acidic) by supporting the organs of elimination, including the skin, lungs, kidneys, and bowel. For thorough, effective, whole-body detoxification, the most valuable program is to combine the Liposomal Detox Cocktail, Thermal Life Infrared Sauna, and Ionizer Plus Alkaline Water. As a teenager, I learned from my grandmother the importance to keeping my body detoxified and cleansed all year. In my TRIO BOOK SET, I cover in detail all aspects of detoxifying the body and mind so you can experience a life of vitality, clear thinking, high energy, freedom from depression, and joie de vivre. CLICK HERE to learn about this efficacious Whole-Body Detox program. Lack of Sleep: The brain needs sleep in order to recuperate. So, when sleep is regularly interrupted, or when one suffers from a sleep disorder, he or she is more likely to experience brain fog in the morning upon waking. For some, a simple cup of coffee is enough to clear away the fog (freshly-made alkaline water works for me in any recipe requiring water), but for those who suffer from serious sleep deprivation, the fog can stay for quite some time. Sleep: Eight hours of uninterrupted sleep has been shown to provide the best rejuvenating benefits. Try to increase the quality of your sleep to help reduce brain fatigue during the day. Quit Smoking and/or Alcohol: Smoking and alcohol dramatically increase the number of free radicals being produced in the body, and this can play a role in mental confusion and poor brain health. Limiting intake of both will allow your body's antioxidants to start the healing process immediately. Eat a Healthier Diet: A diet with plenty of fresh whole foods rich in Omega-3, -6 and -9 fatty acids, magnesium and complex B vitamins will help reduce the episodes of brain fatigue. Reduce Stress: Stress can literally be a killer, so practicing ways to reduce stress in your daily life can be quite helpful. Whether through exercise, meditation, mindful deep breathing, or another calming practice, reducing stress will help alleviate brain fog and help you to live a healthier life. Sounds of nature are very calming. To enjoy these sounds of nature in the comfort of your home or office or anywhere/anytime, please click HERE. 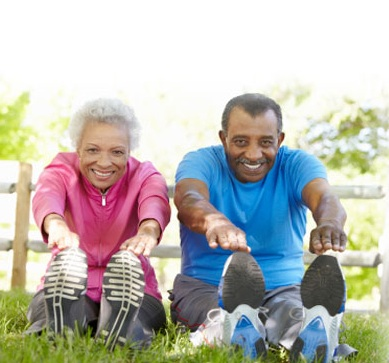 Exercise: It's been known for some time that exercise can lift your mood, ward off depression, and help the brain age more gracefully—free of memory loss and dementia. And now researchers have found that even just one bout of exercise can—even better than a cup of coffee—improve your mental focus and cognitive performance for any challenging task you face that day. A new analysis of 19 studies published in the British Medical Journal found that short 10 to 40 minutes bursts of exercise led to an immediate boost in concentration and mental focus, improving blood flow to the brain. 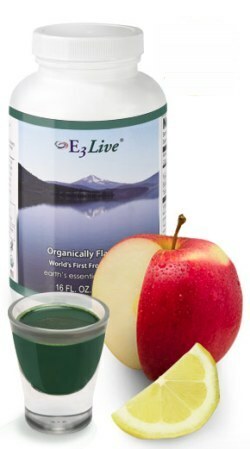 Increase Antioxidant Intake: Eating a healthy diet naturally increases one's antioxidants. Exercise plays an important role in one's health and wellness, and while often forgotten, it absolutely applies to the brain. 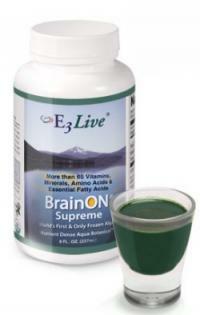 When the brain is exercised, it helps prevent depreciation of one's mental faculties as they age. 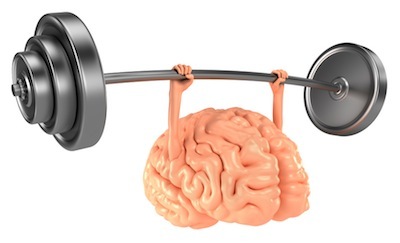 Like any other muscle in the body, the brain can be strengthened through the implementation of regular brain exercise. Memory is often one of the first things to go as we age, and this can be truly debilitating because memory plays a key role in all of our cognitive abilities. Exercises to help improve memory can consist of listening to a song you've never heard of and trying to memorize the lyrics, playing games designed to help you focus on your recall abilities, taking a shower or getting dressed in the dark, or learning a second language. You can also practice visual-spatial cognitive function by walking into a room and focusing on five objects, then leaving the room and trying to recall what the objects were and where they were located in the room. Try to recall the objects and their locations again in two hours. If this proves to be too easy, then increase the difficulty by trying to recall details such as the color of the items, the direction they are pointing, or other minor details. Learning new words is a great way to increase one's vocabulary, improve grammar, and grow mental comprehension. A great way t o exercise the brain to improve comprehension is to expose your brain to words you may not be familiar with. You can do this by reading a section of the newspaper you regularly avoid or by reading a book in a genre you haven't tried before. By doing this, chances are you will find a wide array of words that you have never seen before and common words used in ways you never thought of. CLICK HERE to find all of my 260 positive words. 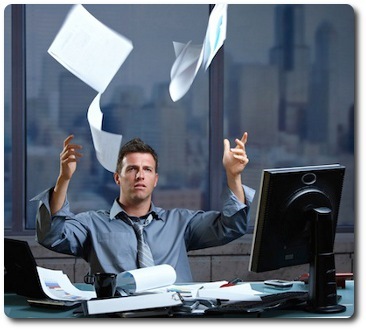 A good attention span is critical in today's world where distractions are found at every corner. Performing mental exercises to help improve concentration will help keep your brain focused at all times. A good exercise to help improve attention and focus is doing two things at once, like listening to an audiobook while doing the dishes, or doing math in your head while taking a shower. Executive function is our ability to solve problems using reasoning and logic. A good way to exercise this ability is to play games that require you to make quick decisions. There are many games out there, both digital and analog, that can be a lot of fun to play. 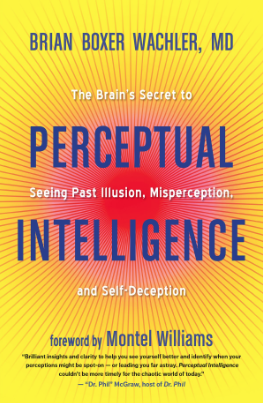 Brian Boxer Wachler, MD just released his new book Perceptual Intelligence: The Brain's Secret to Seeing Past Illusion, Misperception, and Self-Deception. I thoroughly enjoyed this book and wanted to highly recommend it to you. Gift yourself with this book for the holidays and New Year! Why do we gravitate to products endorsed by celebrities? Why does time seem to go by faster as we get older? Why are some athletes perpetual winners and others losers. Exploring the brain's ability to interpret and make sense of the world, Dr. Brian Boxer Wachler describes how your perception can be reality or fantasy and how to separate the two, which is the basis of improving your Perceptual Intelligence (PI). With concrete examples and case studies, Dr. Brian (as he's known to his patients) explains why our senses do not always match reality and how we can influence the world around us through perceptions, inward and outward. By fine-tuning your PI, you can better understand what's really going on and make more insightful decisions in your life. The foreword was written by Montel Williams, and Phil McGraw, host of the Dr. Phil television show, said this: "Brilliant insights and clarity to help you see yourself better and identify when your perceptions might be spot-on — or leading you far astray. Perceptual Intelligence couldn't be more timely for the chaotic world of today." To listen to a recent national radio interview with Dr. Brian discussing Perceptual Intelligence on the program This Week in America, hosted by Ric Bratton (the same radio show I'm a guest on every month), click HERE. His new book is available HERE at Amazon.com.